A funny thing happened on the way to the sequester. Nothing! Like many market observers, I had expected the market would be vulnerable to decline should our government fail to avert the sequester (the automatic spending cuts that would occur should the government fail to act). And yet the sequester came and the market did not fall. In fact it rose… significantly. Perhaps we realized that the automatic spending cuts weren’t so bad. Perhaps we have become desensitized to politically manufactured crises. Perhaps, as often happens, the market did the opposite of what the vast majority of people expected. At times like these I am glad I don’t invest with emotion. Tempo’s Dynamic Programs invest according to our quantitative research. Our Lifestyle Program invests with long term goals in mind, not on short term market influences. You’ve probably heard me say this before, but it bears repeating: I believe we should all invest in a portfolio that is right for us as individuals (or couples, or families), taking into account those factors that make us unique (age, time horizon, risk tolerance, tax status, size of portfolio, income needs, etc.) not knowing what the markets will do tomorrow. Because no one knows what the market will do tomorrow. That was certainly evident these past few months. Is it contradictory that while I admit I don’t know where the markets are headed in the short-term I still do on-going research and update portfolios with my current thinking? No! If and how much a client is invested in Tempo’s Dynamic Income, Dynamic Growth, and Lifestyle Programs (and how conservatively or aggressively they are positioned within Lifestyle) sets the stage for the overall risk profile of their portfolio. Once this risk profile is determined my goal is to maximize the risk/reward trade-off in our favor. I strive to get more return out of each level of risk and take less risk for the amount of reward we expect to achieve. This is why our Dynamic Programs rebalance every quarter. And it is why we continually adapt Lifestyle accounts. Based on our research we add segments of the stock and bond markets we think will out-perform and remove those we think will under-perform. As mentioned above, despite all the worry for the economy and the stock market the first quarter of 2013 was very profitable for stock investors with the S&P 500 rising 10%. And the gains were across the board. Mid cap stocks were up 13% and small cap stocks were up 11.5%. International stocks trail but were still up about 4%. While it is unquestionably a bull market for stocks it is not for bonds. The BarCap Aggregate Bond Index broke even for the quarter and long term government bonds lost over 1.5%. It seems that everybody I know (both in and out of the investment business) has been waiting for interest rates to rise. Whether the rise is finally upon us remains to be seen. As long as the Fed remains accommodative the rise will not be great or swift. Still, it seems that recently the only good days in bonds are when there is a temporary flight to safety based on nervousness for equities, Europe’s financial crisis, or a China slowdown. I often feel that I bring the most value to accounts when I lessen or avoid a down market. And so it was in the first quarter for The Tempo Dynamic Income Program. Over the first quarter interest rates were modestly higher (and prices lower) for many bond categories. As a result some common benchmarks were either flat or down (see above). The Tempo Dynamic Income Program side-stepped the damage and gained 1.5% for the quarter. We accomplished this by limiting or avoiding areas of the bond market most vulnerable to higher interest rates, such as long term government bonds, in favor of high yield bonds and floating rate bonds (AKA bank loan bonds). Some have wondered how the Dynamic Income Program would fare should interest rates rise. This past quarter shows that the Dynamic Income Program can thrive even in this environment. The reason is that the bond market is not monolithic. There are many segments of the bond market which can behave differently. The Dynamic Income Program has the ability to invest in areas outside the world of traditional bonds such as high yield bonds, convertible bonds, and global bonds, not to mention alternatives and income oriented equity (i.e. real estate and utilities). As much as I love avoiding a loss, there is nothing that can replace the feeling of making a lot of money. That is the feeling that Tempo Lifestyle Program clients experienced in the first quarter. As you would expect with equities performing so much better than bonds the more aggressive Lifestyle accounts benefited the most. Returns ranged from 6% for conservative clients to 8% for aggressive ones. There were a few notable changes to portfolios in the first quarter. At the start of the year we reintroduced healthcare as a tactical overweight. You may recall that last year we also owned healthcare but I sold when the constitutionality of The Affordable Care Act was brought into question. Now that it seems Obamacare is full steam ahead I have resumed my bullishness for this sector. More recently I did something I haven’t done in over 20 years – I took a position in Japanese equity. Japan has been mired in deflation and a stagnating stock market since the early 1990s. And while there have been fits and starts to breaking the cycle, until now nothing has panned out. But Japan’s new Prime Minister and Finance Minister finally seem willing to take the drastic steps needed. Both these moves are working out quite well. Healthcare stocks have out-performed the overall market by 5% this year and Japan equities have out-performed international equities by 8% in the month we have owned them. Whereas the Dynamic Income Program is our lowest risk strategy and the Lifestyle Program is our long term (i.e. higher risk) strategy the Tempo Dynamic Growth Program resides in the middle. It is in the middle in terms of risk and usually in turns of returns. The first quarter conformed to this expectation. Since Dynamic Growth generally holds fewer stocks (as a percent) than even conservative Lifestyle Program accounts we are pleased when we can generate a return approaching Lifestyle accounts during strong periods for the stock market. And that is exactly what happened in the first quarter as Tempo Dynamic Growth clients gained of 4.7%. It is now a little over a year since we instituted some changes to the Dynamic Growth strategy and the results have been terrific. Over the last year Dynamic Growth not only gained 8.5% but it did so while avoiding the negative stock markets in both the second and fourth quarters of 2012. 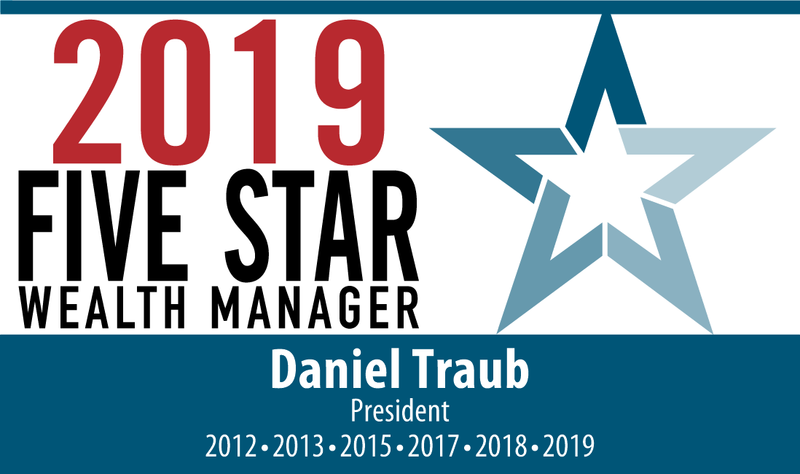 I’m sure you all saw the announcement that I have been named a Five Star Wealth Manager for the 4th year in a row. Thank you all for your kind comments. I also hope you enjoyed the playful photo-shopped picture of me along with Willie Mays, Hank Aaron, and Stan Musial. Interestingly, only one of you correctly identified that the picture on which I inserted my face was that of Ted Williams. Since his head is now cryogenically frozen I figured he wouldn’t mind.